In May, Clooney held a fundraiser for Obama at his Los Angeles home that raised nearly $15 million. President Barack Obama says actor George Clooney is a good friend and a good person who is sensitive about protecting that friendship. 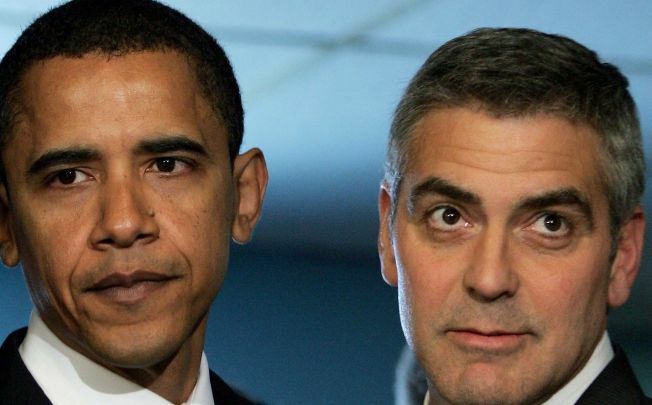 Obama says Clooney is low-maintenance and doesn't take advantage of their friendship. He says Clooney keeps his distance so that Obama won't be criticized for hanging out with Hollywood celebrities. First lady Michelle Obama said of Clooney: "He's cute, too." In May, Clooney held a fundraiser for Obama at his Los Angeles home that raised nearly $15 million. Clooney is scheduled to hold another fundraiser for Obama later this month in Geneva. Obama tells Entertainment Tonight in an interview airing Monday that he got to know Clooney through his work on Sudan when Obama was in the U.S. Senate.